The 3M™ Ribbed Back Up Pad has a unique rib pattern and is resistant to temperatures over 212° F (100°C). 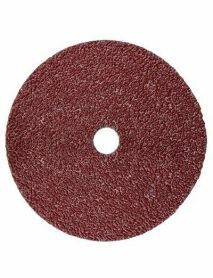 Maximise the lifespan and cut rate of 3M™ Cubitron™ II discs by using 3M™ High Performance Ribbed Back-Up Pad with them. When paired with 3M Cubitron II discs, our back-up pads help to make processes more efficient, while lowering costs.